What makes a Jazz Master? Watching the NEA Jazz Masters Concerts was inspiring both as a musician and as an avid jazz listener. Witnessing individuals who have mastered their craft with an incredible amount of passion is unbelievable. I admire them for their hard work and their ability to create music that is so influential among the jazz community. These masters include flutist Hubert Laws, saxophonist Dave Liebman, composer/arranger and musician Johnny Mandel, producer Orrin Keepnews, and the Marsalis Family. Each person has changed or contributed to the jazz world in some way, whether it be through the music or through the commitment to promoting jazz. 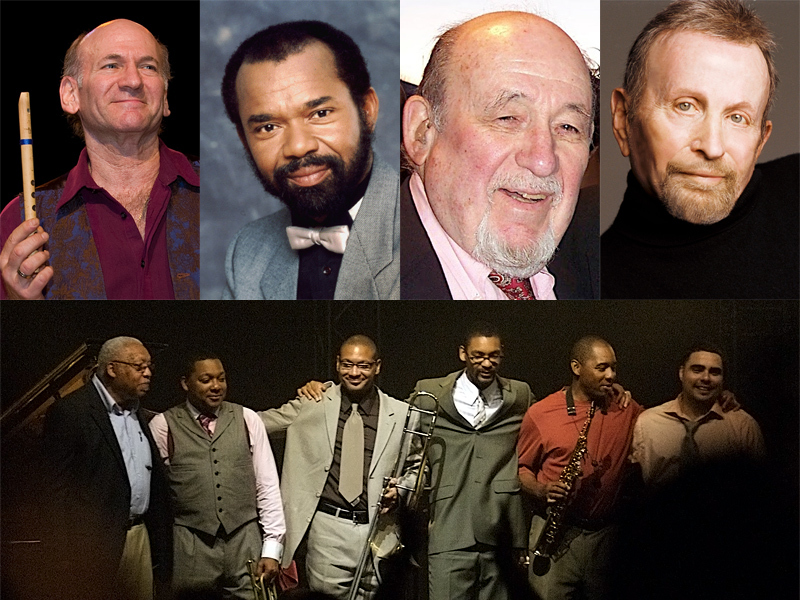 Their contributions are what keeps jazz thriving and moving in a forward direction. As many of the 2011 NEA Jazz Masters played with the Jazz at Lincoln Center Orchestra, conducted and led by the great Wynton Marsalis, I began to wonder what makes a jazz master. When we refer to a “Jazz Master”, I always think of people like John Coltrane, Duke Ellington, Charlie Parker, and Dizzy Gillespie. I feel a jazz master is someone who has pushed jazz forward in a new direction, a new style, or a new interpretation. Like many jazz greats, the ability to become a jazz master lay in their music and how they approached their artistic creativity with a new perspective. I also believed that it was time that truly determined who is a jazz master.